Ravello is a village of the Amalfi coast known worldwide for the beauty of its surrounding landscape and of its historic centre and for the summer festival that every year hosts important personalities from the world of art and music. 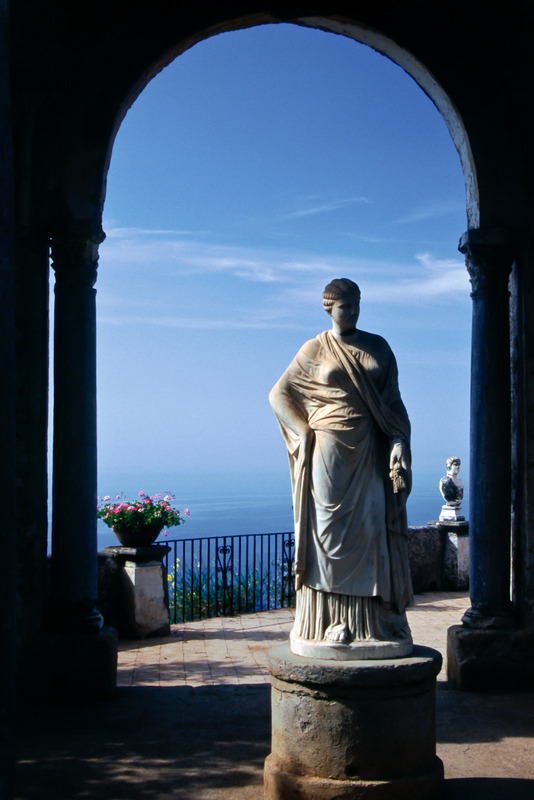 The Ravello Festival, dedicated to Richard Wagner, takes place in the famous auditorium designed by Oscar Niemeyer, one of the most famous architectures of the Campania region. 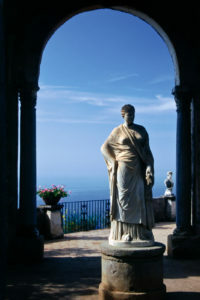 The glory of Ravello it is not something of our time: the beauty of the place has always been celebrated, as you can be read and see in many references in the art world. The most famous example is he mention in Boccaccio’s Decameron but not everyone knows about the importance of Ravello in the world of the cinema. 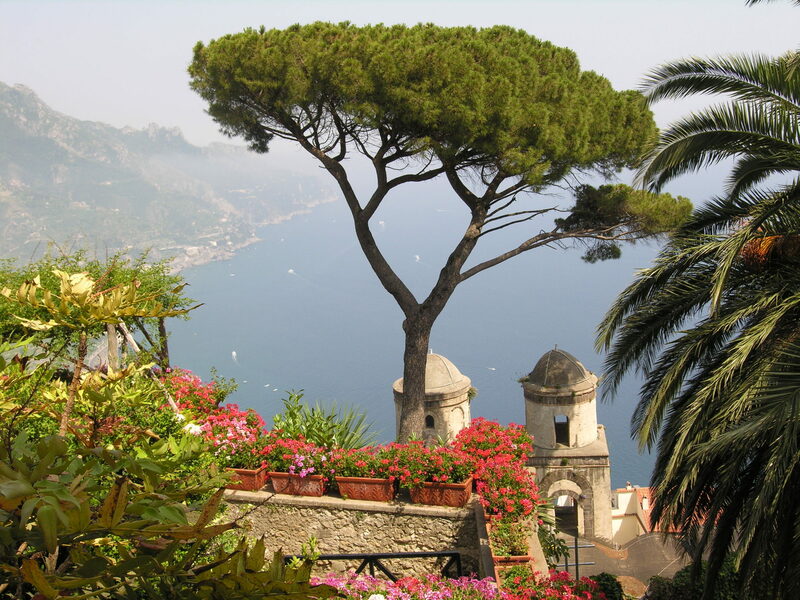 In fact, Ravello is the set of The Treasure of Africa, a famous film with Humphrey Bogart, Peter Lorre and Gina Lollobrigida. Another fact is that the Italian director Roberto Rossellini immortalized the city after World War II. Film lovers can look for these wonderful photographs. Back to the literary world, Gore Vidal lived in Ravello in the ’70s. You can easily go there by bus or by car if you leave from Naples, Salerno or one of the nearby villages of Amalfi coast. Plus, if you want, you can book a driver by contacting BookingNaples. Our professional drivers can take you there in a comfortable car. In Ravello, you can visit many churches. In addition to the Cathedral, the most beautiful and important are the one of Santa Maria delle Grazie, characterized by a quadrangular plan; the church of Santa Maria a Gradillo, with a basilica plan type; the church of San Giovanni del Toro, with a three apse. These churches date back to the 9th century. The village is also known to house as many as 100 altars but only 40 of these are consecrated. In this famous village you can also see non-religious buildings such as the Palazzo Rogadeo, in Piazza Fontana, one of the oldest; the Caruso Hotel; the Palazzo Sasso and the Palazzo Confalone. Other palaces to visit are the Palazzo Tolla, where today is the Town Hall, the Seat of the Nobility of Ravello and Villa Episcopio.